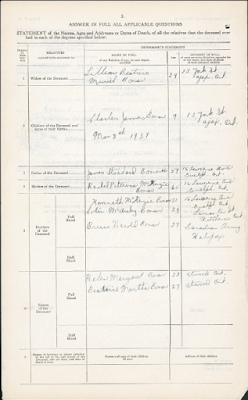 In honour of Remembrance Day, Ancestry.ca has launched an extensive collection of military records containing over 29,000 service files of Canadian military personnel killed in action during the conflict. Ancestry is also offering free online access to this, and its entire collection of global military records from November 6 to 11. 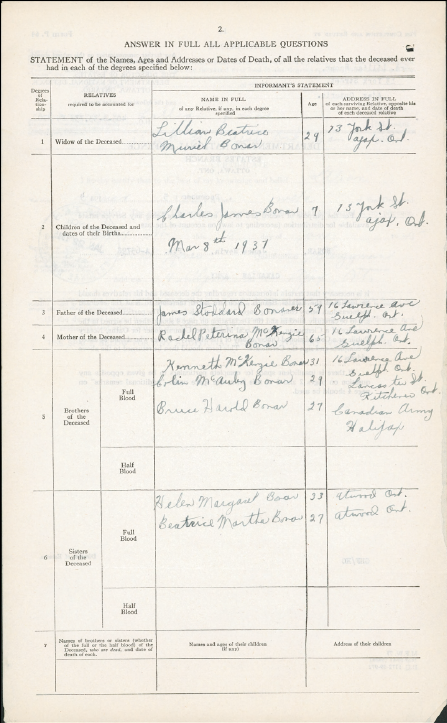 The WWII Service Files of War Dead, 1939-1947 collection includes a variety of different documents for each soldier from attestation papers to medical history forms, and even correspondence to family members back home in Canada, as well as more than two million images. This dataset was of particular interest to me because my uncle James Nevin Bonar was killed in WW2 and his complete file is found there. The image on the left shows one of the dozens of pages in his file. • John Robert Osborn (1899 – 1941) who was the first Canadian awarded a Victoria Cross in the Second World War, after bravely sacrificing himself by throwing himself on a grenade to save his comrades. • David Ernest Hornell (1910 – 1944) who was the first member of the Royal Canadian Air Force (RCAF) to be awarded the Victoria Cross for his last and final mission when he successfully sunk a German U-boat under extreme fire. Don't wait to check out the free online access to Ancestry.ca 's entire collection of global military records from November 6 to 11. I am not sure if this free access is also on Ancestry.com so if one of my readers discovers that it is available there, please leave a comment in the comment section below.